How Close Can You Plant Bushes to an AC Unit? If you have decided to plant bushes around your air conditioner, you may be wondering how close you can plant them. It’s a good question to ask, because planting them too close can have negative effects on both the plants and the air conditioner. But if you plant them too far away, they may not have the effect you desire. Planting bushes is not only a way to hide your air conditioner; it can also save energy. A shaded air conditioner unit can use about 10 percent less electricity than a unit operating in the sun, according to the U.S. Department of Energy. Sun increases the surface temperature of the unit by 10 to 25 degrees, forcing it to work harder. The air is also hotter in sunny areas, which requires the unit to use more energy to cool it. 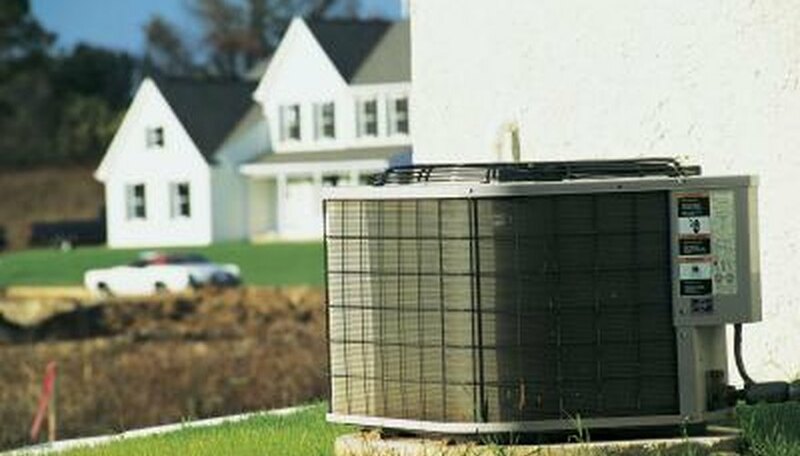 Planting bushes too close to the air conditioner can block the air flow to the system’s evaporator coil. When this happens, ice can build up and diminish the unit’s cooling ability. Planting bushes too close to the air conditioning unit can also have a negative effect on the plants. Air conditioner condensers blow out hot air that can hurt and even kill bushes. How close the shrubs can get to the air conditioner depends upon your intentions. If you plan on planting bushes on one or two sides of the unit, bushes can be about 3 feet from the unit. If you want to plant a continuous wall around the unit, you need more space. Shrubs should be at least 5 feet from the unit. When planting a continuous wall, remember to allow a space for someone to access the unit for maintenance and repair. But just because you need 3 feet of space between the bush and the air conditioner doesn't mean that this is where you dig your hole. Although the bushes need to be between 3 to 5 feet from the unit, this is not the planting distance. This is the amount of space that is needed between the edge of the bush and the unit when the bush is mature. For that reason, you need to know what the average width or spread of your bush is before you plant. For example, common lilacs can have a spread of 6 to 12 feet at maturity, so they would need to be planted at least 9 to 17 feet from the unit.